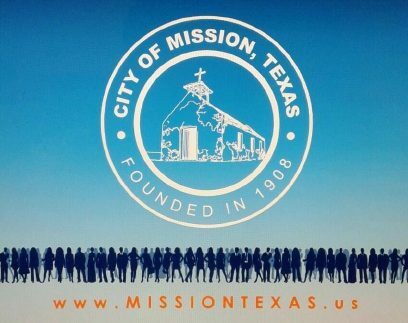 MISSION — In the first employee satisfaction survey conducted in Mission, pay satisfaction, on average, ranked lowest for city employees among other aspects of their jobs. But while pay ranked last, the major theme of the other low-ranking aspects was the relationship between employees and senior management, according to a presentation of the results delivered to the city council on Monday. The 663 employees that responded to the survey, which is about 96 percent of all employees, appeared most concerned with communication between senior leaders and employees within their organization, recognition of good performance from senior management, trust between senior management and investment in training and education. On average, aspects dealing with themselves ranked highest among the employees. Those included whether they were determined to give their best effort, whether they are completely focused on job duties when at work, whether their work positively impacts people’s lives, whether they understand how their work impacts business goals, and the working relationship with their coworkers. The survey averages were also broken down by department with the average of the legal department’s responses ranking highest and the average of the municipal court’s responses ranking lowest. Municipal court employees seemed most dissatisfied with communication between senior leaders and employees while they were most satisfied with health care benefits. For the legal department, which Council member Jessica Ortega-Ochoa pointed out consisted of only two employees, all aspects of the job ranked either at or higher than the city-wide average. The average of the police department employees also ranked on the low end, with compensation rating the lowest for them. Mayor Armando O’Caña said the results of the survey weren’t surprising at all, noting that the lowest-ranked aspects were the very things he’s sought to address. During his race for mayor, O’Caña campaigned on raising the minimum wage to $15 per hour. After taking office, the city was able to raise the minimum wage from $8.50 to $9.50 an hour and O’Caña said he hopes to fulfill his campaign promise by the end of his term. Regarding the dissatisfaction with the investment in training, the mayor said he was aware of the issue from reading the departments’ budgets and noticing that the funds set aside for training were very low. However, Council member Norie Gonzalez Garza said she was not satisfied with the presentation delivered Monday, which was done during a workshop, because it did not reflect the full results of the survey. Among the provisions of the survey not presented were the nearly 500 comments provided by the employees which have yet to be made public. During the workshop Ortega-Ochoa said she believed the city had made a lot of improvements since the survey was done and that if the survey were conducted again today, the results would have been different. Gonzalez Garza agreed with that, saying that some of the responses were likely outdated. However, she still believed it was important to focus on the additional input provided through the comments. Though the entire substance of the comments have not been disclosed, the presentation did make note of keywords that were used in the comments. When it came to improvement of operations, the most comments came from the police department, fire suppression, and the parks department. The top keywords, along with the percentage of comments they appeared in, were “training,” 16 percent, “equipment,” 11 percent, “communication,” 8 percent, and “pay,” 7 percent. Regarding providing better services to residents, the same departments provided the most comments. The top keywords were “equipment,” 12 percent, “training,” 10 percent, “customer service,” 4 percent, and “pay,” 4 percent. In comments for “other,” police, fire suppression and the Speer Memorial Library provided the most comments. The keywords there were “pay,” 20 percent, “training,” 11 percent, and “equipment,” 7 percent.